Jane and I enjoyed a bit of down time over the Easter weekend and set sail for the Isle of Skye. 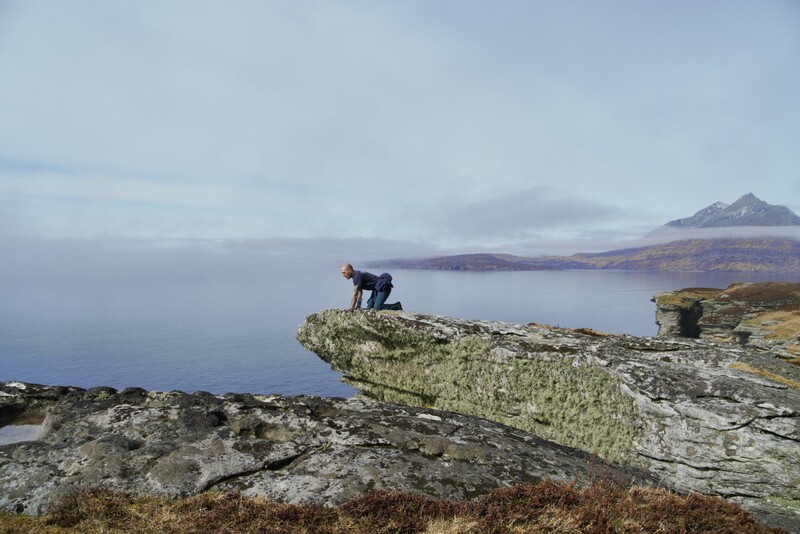 We explored some of the fine sea cliffs on the island, Jane enjoying the chance to take pictures whilst I extended my ‘wish list’ of routes I want to get done in the summer. The Cuillin’s are still under a dusting of white and Mike Lates tells me the ridge is in the best Alpine condition its been in all season! 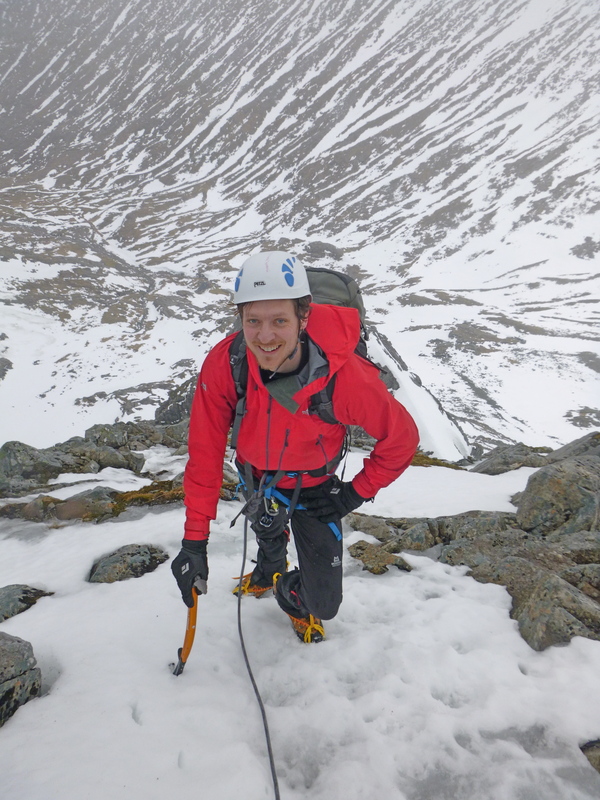 Today I was back on Ben Nevis enjoying guiding Andrew up Tower Ridge which was to be his first big mountaineering route in Scotland. 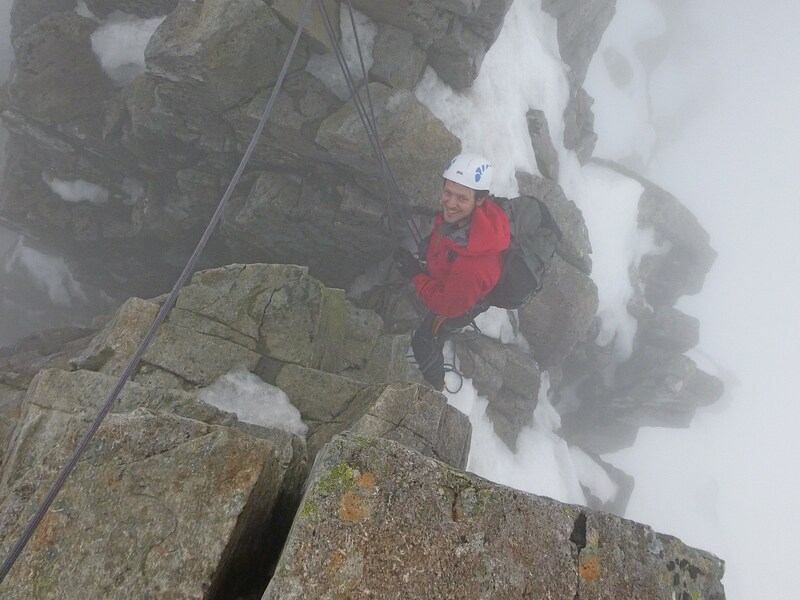 Having climbed a few grade 2 routes and some big mountains in Peru Tower Ridge was to be a good progression especially as it was in rocky condition with some very useful ice about for the axe. Very little sunshine today for us, the route was shrouded in mist from the little tower upwards and it felt quite fresh in the strengthening winds. 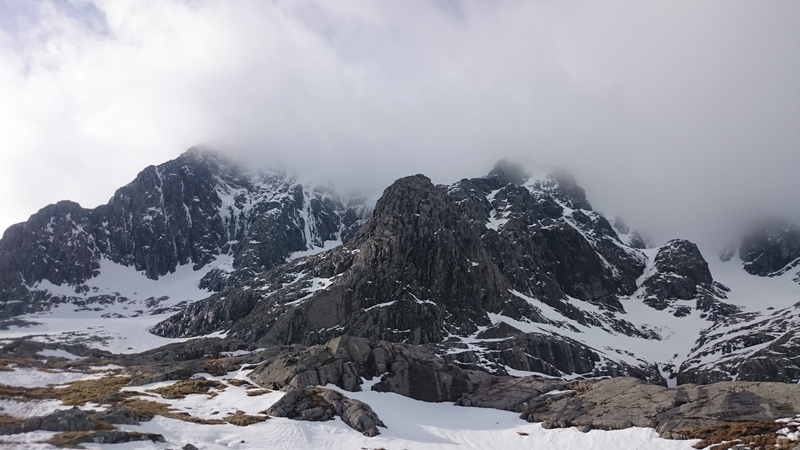 There was a team climbing in the Smiths area, but we couldn’t see them due to the low cloud, all we heard was significant ice falling and lots of shouting – be careful in the thawing conditions as there are some huge cornices about. 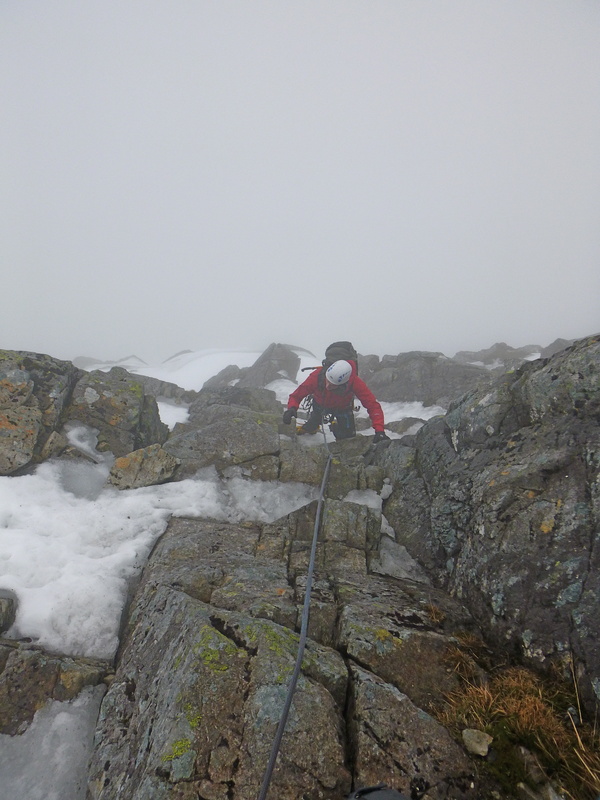 Today I was working for Abacus Mountain Guides, looks like Mike had better conditions on the ridge yesterday! 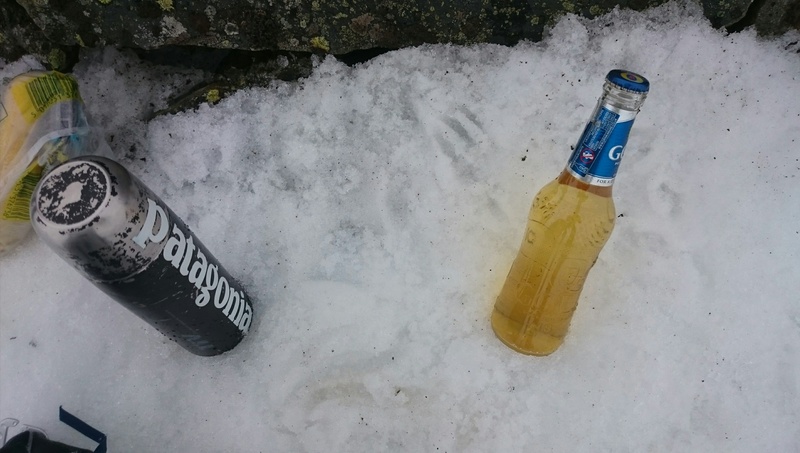 I even found a bottle of beer below the Great Tower? !